Even as a professional trainer, when it came to being a mom, Niki Klasnic had a lot to learn about flexibility. Everything from letting go of a tight schedule to finding pockets of time for herself helped Niki realize just how liberating it is to embrace an adaptable attitude — so that she can be the best version of herself and a better mom. This new appreciation of flexibility is just as important to Niki when it comes to her leggings. When she wears high-performance pieces from CALIA by Carrie Underwood made with LYCRA® SPORT technology, Niki has the comfort and mobility to embrace motherhood around the clock, whether she's running errands or squeezing in a quick workout. 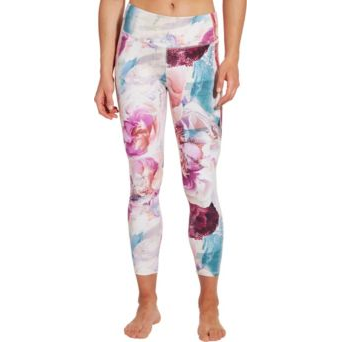 Because she knows it's what's inside that matters most, Niki chooses CALIA by Carrie Underwood Energize leggings which not only look great, but perform and are comfortable enough to keep up with her ever-changing routine, too. Watch how Niki balances it all and stays on her path, just above.